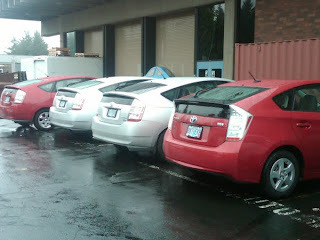 The Portland area has a very active Meetup Group, http://www.meetup.com/PortlandHSD/ , for Toyota hybrid fans, organized and administered by the very capable Bill Merchant. On Saturday, June 18, 2011, the Portland HSD (Hybrid Synergy Drive) group met at Portland Community College (PCC), Sylvania Campus, in the automotive department. For the past few years PCC/Automotive has been creating a gas/electric hybrid technician training program. PCC recently hosted several train-the-trainer, week-long classes devoted to hybrid HV battery maintenance and reconditioning and hybrid motor/generator diagnosis and trending. Their hybrid training initiative has been featured recently in local media. 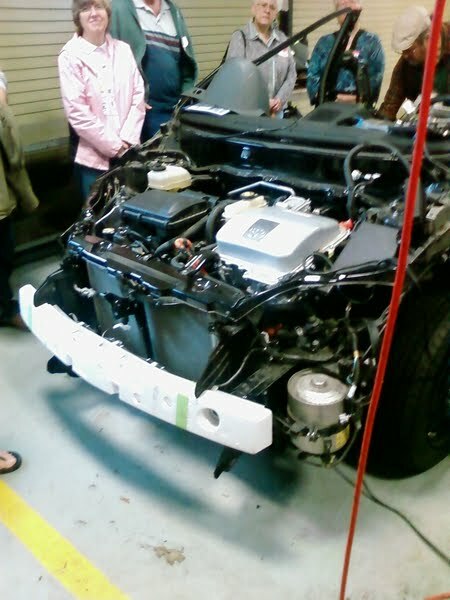 PCC hosted our HSD group to demonstrate the new test equipment they have acquired and to show off their staff-created cutaway Gen. II Prius designed for technician training. Over 20 Portland HSD members were in attendance. 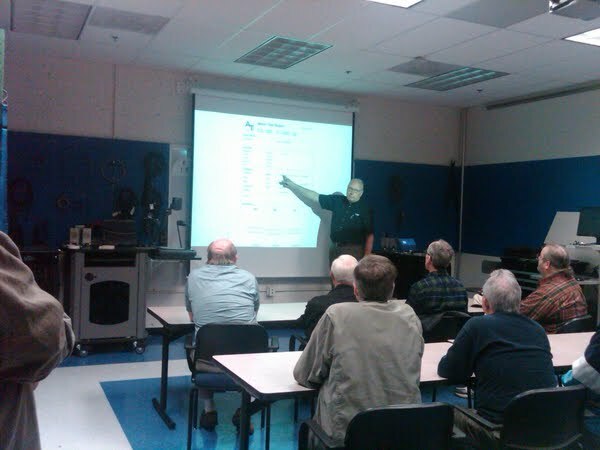 The presentation was led by Carl Thompson, retired PCC/ASEP automotive instructor and Kim Kittinger, PCC automotive instructor. 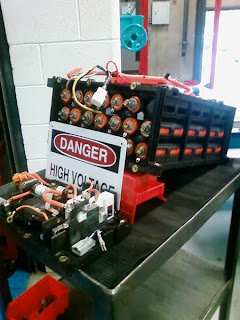 Carl made the Power Point presentation and both instructors participated in pointing out the different hybrid HV batteries and other components on display. 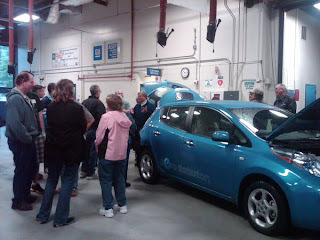 Gary Gaunke, Portland HSD and OEVA (Oregon Electric Vehicle Association) member, also brought his new all-electric Nissan Leaf to display. The Portland HSD Meetup Group meets the third Saturday of every month, usually at a local roadhouse, to socialize and discuss our experiences with our Toyota hybrid vehicles. New faces with an interest in hybrids are always welcome.